Did you know that the total deficit of honeybee colonies across Europe amounts to around 13.4 million colonies? That adds up to about 7 billion honeybees! 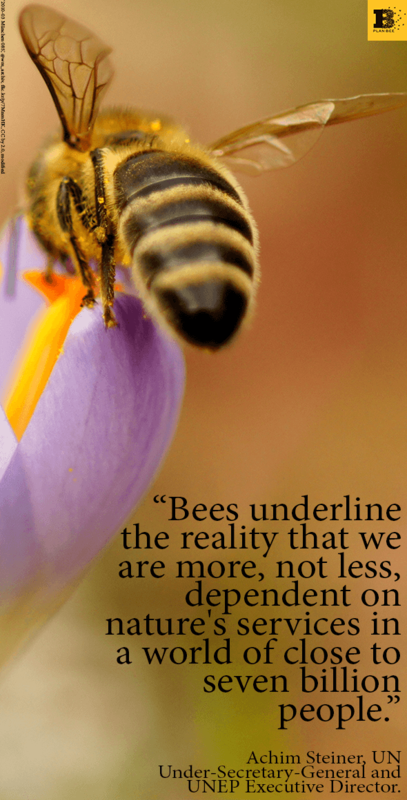 This deficit affects us directly as bees and other insect pollinators are the underpinnings of a successful agricultural economy. Without their free pollination services our supermarkets would have no strawberries, apples, pears or lemons to name but a few. The good news is that here at Plan Bee, we’re doing all we can to help reduce the shortage of honeybee populations and the best thing is you can help! By investing as little as £10 in your future and Plan Bee via our crowdfunding platform Crowdcube, you too can own a slice of this planet-saving, bee-boosting business! Have a look at our e-catalogue below to see all the great incentives that come with an investment in Plan Bee. We’ve raised so far £81,120 of £60,000 target! Funding closes on the 6th of June, so don’t hang about! Invest in Plan Bee and get a Glengoyne Single Malt Scotch Whisky! 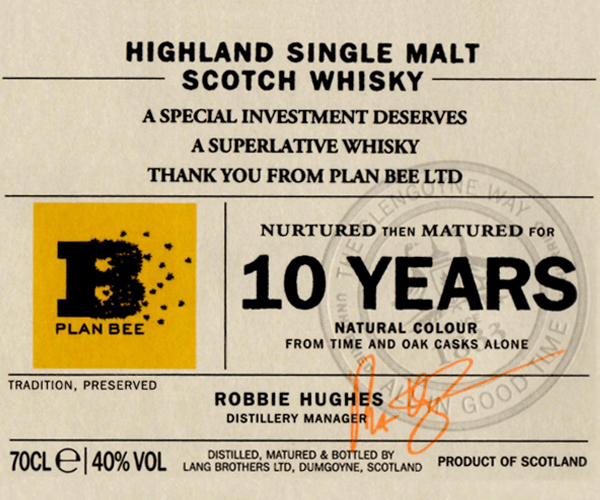 One of the incentives you get if you invest £5,000 or more on Crowdcube.com is a 70cl bottle of the award winning Glengoyne 10 year old Highland Single Malt Scotch Whisky, complete with a bespoke Plan Bee label commemorating your investment! 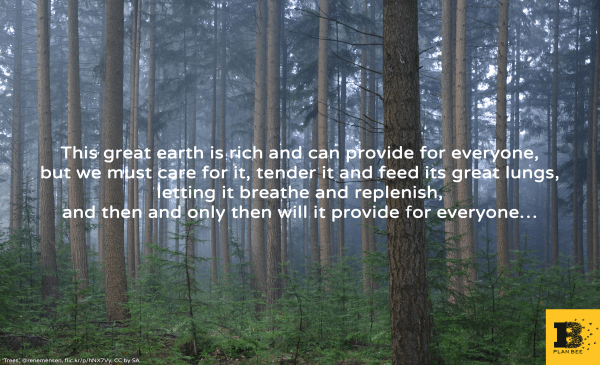 Picture and Quote of the Week 19/05/14! 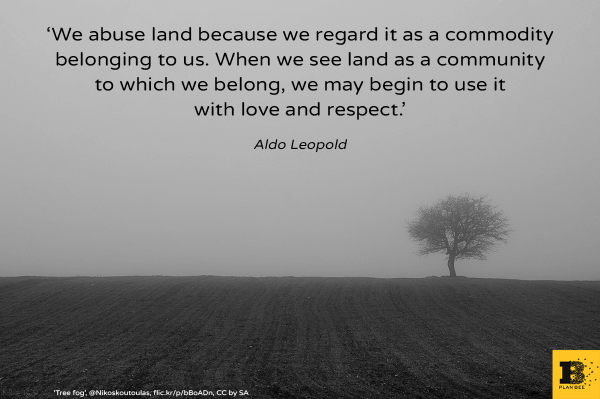 Picture and Quote of the Week 19/05/2014! Achim Steiner, UN Under-Secretary-General and UNEP Executive Director. We have now achieved 119 per cent of our original Crowdfunding target, almost three weeks ahead of schedule. Shares in the burgeoning business are still up for grabs, with potential investors able to grab their slice of Plan Bee for as little as £10 per share. The Crowdcube funding page will remain open for a further 17 days (closing 7th June 2014), with numerous options and benefits available for those investing at a variety of different levels. Plan Bee continues to take the sustainability industry and business start up sector by storm, scooping a number of prestigious awards and gaining nominations in related ceremonies. The company will battle it out with the likes of Virgin Atlantic at the renowned 2degrees environment awards at Wembley later in the summer. This is on top of a top ten finish in the BBC’s Food and Farming awards and success at the Glasgow Business Awards. Most people have heard that honeybee colonies are in decline, sometimes through a condition called Colony Collapse Disorder (or CCD). Few people understand the concept and even fewer realise that CCD is but one of the challenges facing apiarists and that it has multiple causes. A highly specialised parasitic fungus, otherwise known as a microsporidial pathogen, exists as spores that honeybees can pick up. Once digested the spore grows a filamentous tube into the gut wall of honeybees, causing dysentery, weakness and flight inability, with subsequent reduction in life expectance, ultimately leading to colony depletion. Two species of Nosema are known to affect honeybees: Nosema apis originally the only microsporidial pathogen in western honeybee colonies and Nosema ceranae a recent introduction to western honeybee colonies from Asia. These tiny micro-organisms cause a condition known as Colony Dwindling Syndrome (CDS). This is not a new phenomenon, but it results in a gradual but progressive loss of honeybee workers from the colony leading to a decline in colony productivity. Weakening of the colony leads to other issues, such as brood loss and further disease. 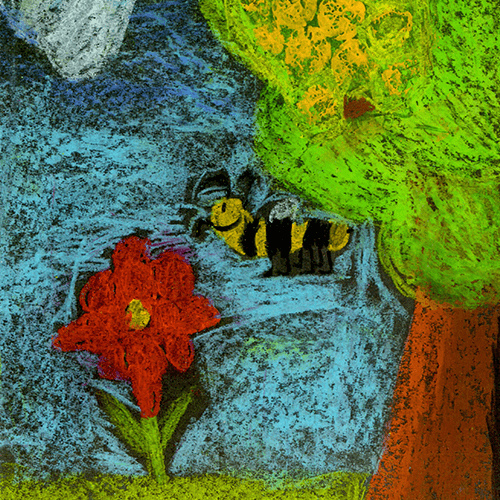 Too few bees will finally lead to colony collapse. So the question is raised, is CDS at the root of CCD? The answer is that probably not on it’s own, as scientists have grown to realise that CCD is a complex array of issues, resulting in the demise of hive colonies. Invertebrate Iridescent Virus, or IIV6, is also found in hives that have suffered CCD and it would appear that neither Nosema alone nor IIV6 alone result in CCD, but together, they sometimes do (although the ability of IIV6 to infect honeybees is also debated). Even so, this co-infection is unlikely to be the only cause of CCD. Dealing with Nosema alone is an important issue, so how do we control Nosema infection? Well, first and foremost must come good husbandry – healthy bee colonies, well fed and lacking other disease elements are far less likely to succumb to Nosema infection. Effective systems of comb renewal are also important in maintaining strong colonies. 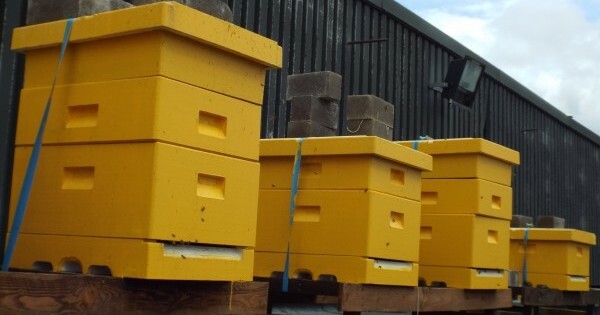 Doses of the antibiotic fumagillin (sold as Fumidil B) is prescribed in the autumn feed for affected hives. We are flying high after being shortlisted for the prestigious 2degrees Champions Award ceremony at Wembley this July, but know that we face some worthy adversaries in the shape of Virgin Atlantic and Yorkshire Ambulance Service to name but two. Among our fellow nominees at the event is Matt Damon. The 2degrees network comprises 39,000 professionals working across the burgeoning sustainability sector. The ethos is to drive efficiency and growth through more sustainable practices. That is why Plan Bee epitomises everything that they stand for. While we have only been in operation for a couple of years, we are already growing a reputation for sustainable business management and not only boasts some major brands as clients but also has a cabinet full of awards and similar nominations. This year alone we made the top ten of the BBC’s Food and Farming awards from a list of thousands of similar organisations. We have a Legacy 2014 accolade for the Commonwealth Games, are a Glasgow Business Awards winner and numerous prizes for start-up and entrepreneurship, and have been recognised by the European Commission. 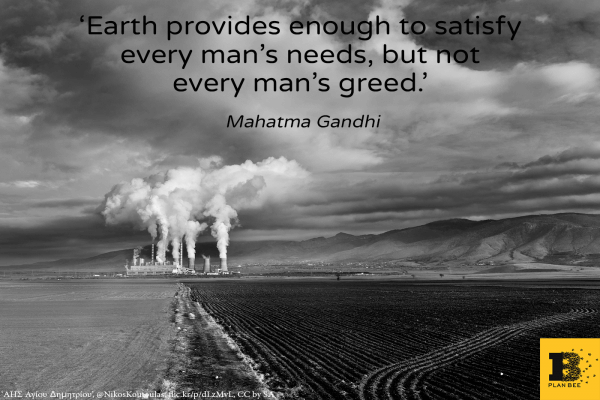 Picture and Quote of the Week 12/05/2014! 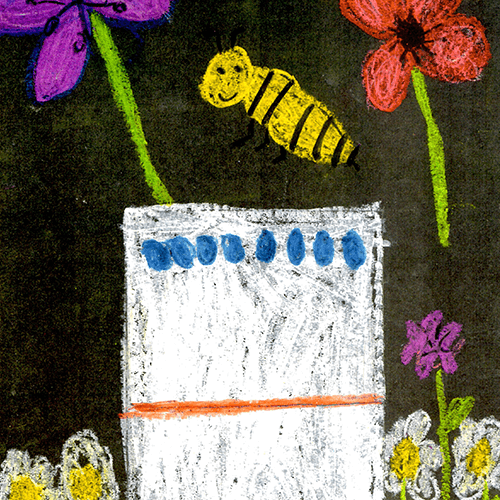 When Pupils from Calside Primary School draw bees! 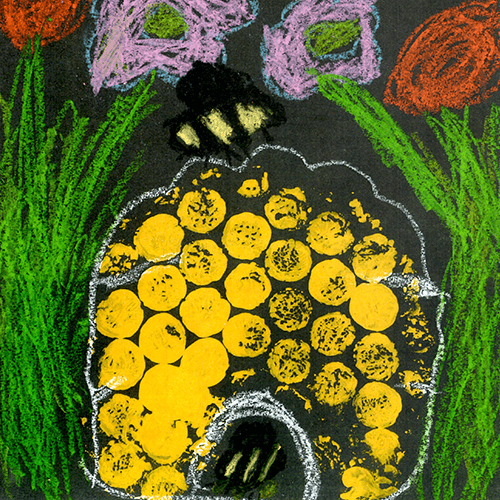 Some children from Calside Primary School (Dumfries & Galloway) drew these beautiful bees to thank us for coming to talk to them about the importance of bees in our planetary food system. 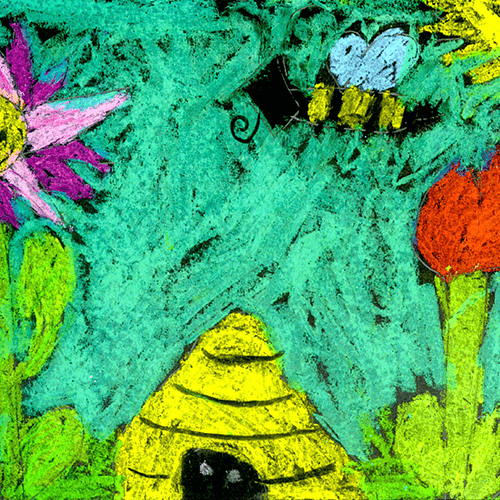 We love these happy bees, do you?! Plan Bee shortlisted at prestigious Business Green Leaders Awards! We are delighted to announce that we have been shortlisted at the prestigious Business Green Leaders Awards! We are going to rub shoulders with some of the burgeoning environmental sector’s big names and some of the biggest brands in the UK. “We’re delighted to be considered in the same category as some of the biggest names in not only our industry, but some real global big brands. We’re in a strong category but having gained experience from the recent BBC Food and Farming Awards and a host of others, we’re confident we can come back with something or at least give the big boys a run for their money. Last year’s winners included Marks and Spencer, Coca Cola and First Minister Alex Salmond as Politician of the Year. We are delighted to announce that over the weekend our pitch became fully funded on Crowdcube! Better still, we are currently sitting at 102% funding making our campaign overfunded! We couldn’t be happier and thrilled to see that so many people are willing to get behind us and become part of our bee-boosting business! 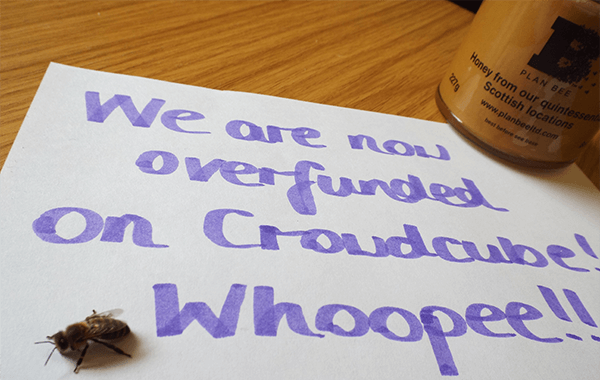 We’d like to extend a massive thank you to all investors, your support means we can continue our good work in addressing the decline of the honeybee. However this is just the beginning of our journey, and with 25days left on our Crowdcube campaign we’d like to encourage more people to get involved and help us smash our funding targets! You can find our campaign and learn more about it by clicking here. Picture and Quote of the Week 05/05/2014! Picture and Quote of the Week 28/04/2014!